Dry Cleaners Newark? Save big at Dollar Cleaners! Dry Cleaners Newark, CA–located just off the 84, across from Safeway and near Chase Bank. Drop your dry cleaning and laundry off at our dry cleaners in Newark and save big! Our customers save up to 50% or more compared to most cleaners. Plus we have a fast turnaround and a green dry cleaning process. You may also save more by joining the Dollar Cleaners Newsletter. It features seasonal specials. This includes discounts & coupons on dry cleaning, laundry and household items. Get special savings sent to your email inbox. Subscribe to our email newsletter. We clean with two highly efficient machines that use an eco-friendly solution, SYSTEMK4! It's eco-friendly and an exceptionally safe cleaning solution. We take pride in expediency at our Bay Area plant. 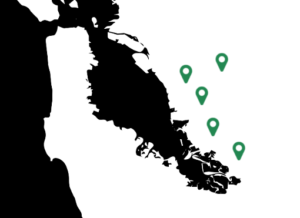 Most locations have a two day turnaround. Same day service is available at our dry cleaning plant. We also offer special discounts by email. Join our Dry Cleaning Specials news list for updates on seasonal discounts. 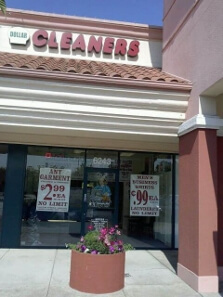 Dry cleaners located in Castro Valley, San Lorenzo, Hayward, Newark & Fremont. Save up to 50% or more on your dry cleaning & laundry service. We specialize in commercial laundry and bulk dry cleaning–this means bigger savings for you. Stop by one of our East Bay dry cleaners. Subscribe to our email newsletter and get deals & coupons sent to your inbox.